Shaker style solid pine bed frame with a timeless feel, this design will last you for many years to come. Wide slatted headboard and high foot end compliment the chunky posts perfectly. Constructed from solid pine for strength and durability. Protected with a low sheen lacquer that allows the natural beauty of the pine to show through. The Premier mattress is 18 cms deep, sprung coil with damask cover and of medium firmness. Produced in the UK to all relevant fire safety regulations. 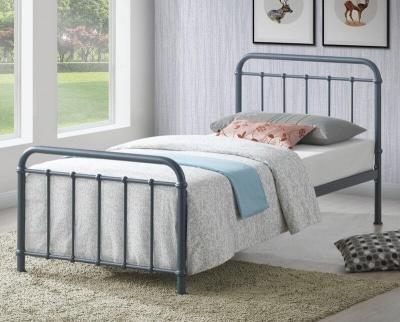 Bed frame : H110 D107 L209 cm. Bed frame delivered in two boxes. The mattress is plastic wrapped.